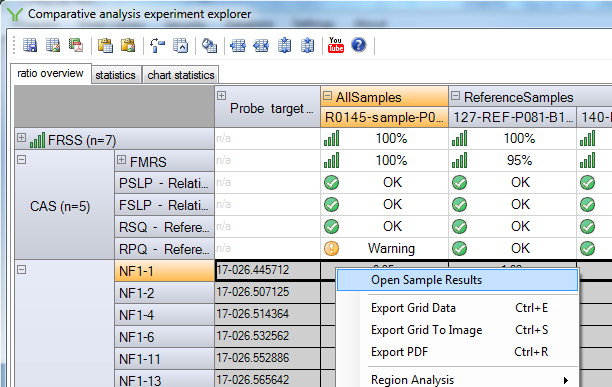 Coffalyser.Net allows you to open the results of individual samples directly from the comparative analysis experiment explorer. It is not necessary to close the experiment explorer first. To open a sample’s results, right-click on the column of a specific sample in the grid and select Open Sample Results. Please note that you cannot right-click on the sample name itself.